Why are teeth, even baby teeth, so important? And why do we need all of them? Each tooth has an essential function in the mouth and is designed to give you the maximum amount of power to chew, talk and be healthy. The teeth are made up of incisors, canines, premolars and molars all shaped for different functions. 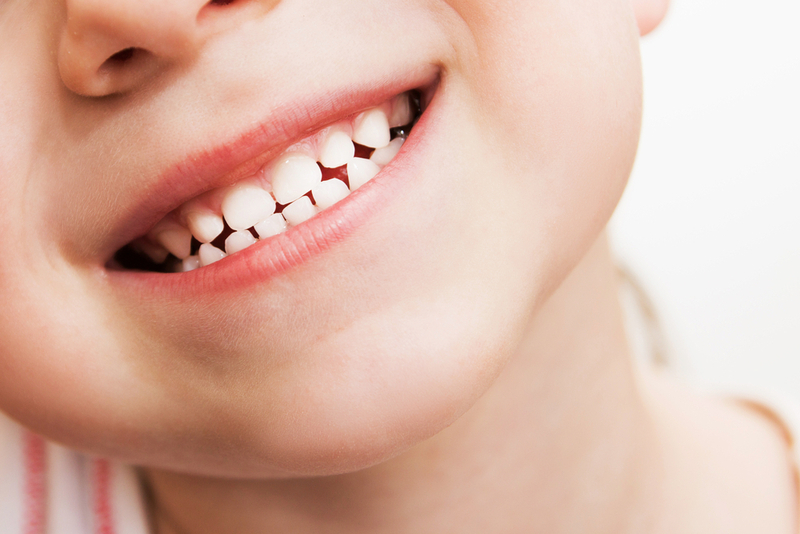 We each get two sets of teeth during our lives—baby teeth and adult teeth. Without our teeth, we would have problems with digestion, speech, facial shape, appearance and overall health and wellness. The teeth are vital in the first steps of digestion. Problems with the teeth (such as gum disease) can lead to conditions that affect the health of your mouth and whole body. Taking care of your teeth is more important than you realize. Even having straight teeth can do more for you than you know. At Belmar Orthodontics, let us teach you more about your teeth, the importance of straight teeth and all that they do for you! Every single tooth in the mouth is important when it comes to eating, chewing, speaking, digestion, facial shape, appearance and overall health. That even includes the baby teeth even though they are teeth that will eventually fall out. Baby teeth aid in normal development of the jaw when we’re young. This leads to normal development of the jaw through adolescence and adulthood. The American Association of Orthodontics recommends that children have their first orthodontic visit between 7 and 8 years of age. This is a time when orthodontic issues may be present (such as over, under or cross bite) and a time when those problems can easily be corrected. There is space for all of the 32 adult teeth in the mouth. Those teeth are straightened before the jaw hardens and stops growing and before orthodontic care is much harder to perform (this is usually between ages 13-15 for girls and 16-18 for boys). Higher self-esteem and self confidence in home and academic life, which can lead to more confidence and opportunities as an adult. An adult mouth will typically consist of 32 teeth. There are around 20 baby teeth (10 upper and 10 lower) that will fall out and 32 adult teeth will grow in their place (including the wisdom teeth). Not all people have wisdom teeth and most will have them removed, bringing the final number of adult teeth to around 28 per person. The adult teeth are made up of 8 incisors, 4 canines, 8 premolars and 12 molars (minus 4 if the wisdom teeth are gone). Baby teeth tend to look very similar to one another, but all the adult teeth look different because they have different functions. Some are pointy, some are narrow, and some are large to aid in chewing, eating and speech. The teeth are the first step in the digestive process, as food comes in through the mouth and is chewed before it continues through your body. Having a full set of healthy teeth will aid you in all your chewing and eating needs. Straight teeth make any action involving the teeth that much easier. How important are straight teeth in adults? VERY! About ¼ of all patients in the United States with braces consist of adults, and that number is on the rise. Studies have shown that straighter teeth lead to more overall confidence and that confidence can boost a person’s chance of receiving a job over than someone with crooked teeth. In a study by Invisalign (a transparent aligner brand that we offer), they found shocking results when they polled around 1000 random participants on the streets about the appearance of people in different photos. The people that had straighter teeth automatically were perceived as more confident, attractive, successful and even more trustworthy than those without straight teeth. 80% who received orthodontic care as adults said it was one of the most important things they had done. In articles by the New York Times, their studies showed that many families went without basic necessities in order to afford orthodontic care because of how integral it was to success in academic, home and professional life for their kids and themselves. Now how important do you think straight teeth are? Lucky for you, we offer many options for children and adults when it comes to keeping your pearly whites straight for life! Traditional braces are one of our most popular options–especially with adolescents. We also have clear ceramic braces that offer all the benefits of traditional braces, while being more discreet and blended to the color of your natural teeth. We also provide lingual braces that are adhered to the inside (tongue side) of your teeth, giving you discreet straightening power. Invisalign is another one of our popular options consisting of transparent removable aligners that allow you to invisibly straighten your teeth while providing the freedom to remove the aligners when you need to. To learn more about why teeth—especially straight teeth—are important or to schedule your braces consultation, contact our Belmar Orthodontics office today at (303) 225-9016!